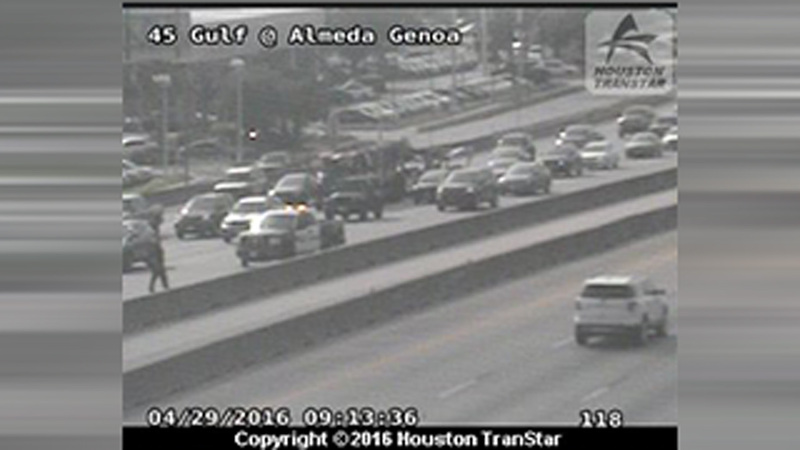 HOUSTON (KTRK) -- Houston Police closed the Gulf Freeway northbound at Almeda Genoa for a homicide investigation. The right lanes are now reopening after being shut down for more than 30 minutes. Police say at 1am, they received a call about a man who was shot. He was found lying in the U-turn lane at Almeda Genoa. The man died at Ben Taub Hospital a short time later. Police say there were no witnesses. Investigators are at the scene taking photographs while traffic is shut down.